2016, through mid-June, shows 56 startups received $427.5 million; and that 20 acquisitions have happened thus far totaling $4.53 bn (from the 11 reporting amounts involved). Industrial robots used to be dumb, somewhat inflexible, and mostly blind - but also fast, precise and very efficient. As the cost of components, sensors and vision systems has been dropping, vision-enabled robots are becoming more prevalent and capable, and the industry is dramatically changing. Those changes can be seen in recent trends in China, investments in and acquisitions of robotic companies, by an analysis of recent startup companies, new and widening application areas for robot use, and technological developments. For the past 50+ years industrial robots have picked the low-hanging fruit of manufacturing by handling the dull, dirty and dangerous tasks. But today, as consumers want more personalized products, and want them faster, and as costs have dropped and executives have pushed for greater productivity through automation, mobile and vision-enabled robots are emerging and being deployed in many new application areas, particularly for SMEs and in logistics, but also in government, agriculture, surveying, construction and healthcare. An analysis of 752 of The Robot Report's global database of robotics-related startup companies shows that 25% of the startups were focused on industrial robotics and 75% address new areas of robotics such as: unmanned aerial, land and underwater devices for filming, marketing, delivery, surveillance, security, surveying, and for the military, science and oil and gas industries (25%); robotics for the agriculture industry (6%); mobile robots as platforms for various uses (7%); personal service bots (3%); professional service bots (7%); medical, surgical and rehabilitation robots (7%); consumer products such as for home cleaning, security, remote presence and entertainment (9%); educational and the hobby market (5%); etc. Support businesses such as AI and software, engineering and design, component manufacturing, 3D printing, vision systems and integrators make up the remainder. More than half of the startups are predominently software based and indicative of the new metric that the hardware component represent less that 1/3 of the overall cost of the product. The industrial robotics sector, whose revenues have represented 75% of the industry's overall sales (as reported by the International Federation of Robotics (IFR)) for the past few years, is forecast by various sources including the IFR to have double-digit compounded annual growth for the remainder of this decade. However, when one studies the figures for the biggest five user-countries, all except China are projecting CAGRs of 6% to 9% while China is expected to exceed 25%. Service robots are also expecting double-digit growth with over 80% of those new companies located in Europe and North America. This explosive growth in service robotics, plus the steady growth in industrial robotics, is suggesting that the next 5-10 years will all be double-digit years for the industry as a whole. Certainly we've all seen some of the reports about this growth and how it will transform work. For example, Oxford Martin School researchers estimate that robotics and artificial intelligence are on track to take over 40% of the US workforce within 15-20 years either as a computer program that will be able to do what many of us do today, or it will be a machine or robot that replicates the physical process of work that we do. China's economy has and continues to transition through all the economic stages of industrialization, urbanization and consumption-driven growth. This movement is both politically stimulated and self-propelling. In the realm of robotics, there are many factors driving growth: a desire to export cars requiring a level of quality that can only be provided by utilizing proven robotic automation methods; multi 5-year governmental incentive plans fostering a home-grown robotics industry; rising wages changing the metrics of human-robot deployment; and general availability of capable factory workers. Thus China is eating up the market both as a buyer and an emerging seller. However, for Chinese companies to fully capture the robotic market within China they will have to shore up missing components that are hard to make and improve quality and precision overall. Components such as end-of-arm tools, speed reducers and harmonic drives will need to be manufactured locally instead of being imported. Many retired Japanese engineers are "consulting" to help speed up the process. Chinese venture firms are helping by acquiring international companies, investing in Chinese companies that are attempting to perfect these components, and investing in global companies and reorienting them toward sales and manufacturing in China. One good result: as the industry moves in-country, there will be less blatent thievery, copying and reverse engineering as there has been in the past. China's government has encouraged this in-country market by providing loans and other incentives to companies and to local governments to get them to provide real estate and tax incentives. An industry plan drafted by several ministries, for 2016 to 2020, aims to have 100,000 industrial robots produced annually by domestic companies, with annual sales of 30 billion yuan ($5.4 billion) a year. Meanwhile, more than 40 new robot ­industrial parks have been built or are under construction according to the CRIA, adding that local governments established ~80 policies to support the sector. There have been many reports about the misuse of those funds and the falsification of progress reports. The most recent is the 2015 statistics from the IFR showing that even though China did well, the rate of growth has diminished and projections have been halved. 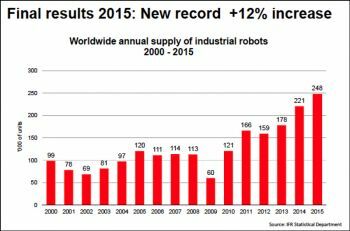 See Industrial robot sales for 2015 set new record in spite of troubles in China. Nevertheless, internalization is ongoing and progressively gaining traction. The bid for half the shares of German robot maker Kuka by a Chinese venture firm is an example. Foxconn's deployment of over 45,000 Foxbots (Foxconn's inhouse brand of robots) in addition to robots from other manufacturers is another. Much has been said about the fast-growing market for collaborative robots. The most current are articles describing car companies replacing old-style industrial robots with a combination of humans and co-bots assisting humans to gain needed flexibility. The websites of Universal Robots (UR) and Rethink Robotics both contain numerous video use-cases in a variety of application areas. Bottom line: this is a viable and growing segment of the robotics industry started by UR but with competition coming from Kuka, ABB and others. The major benefits of these new co-bots are their flexibility, safety, ability to be rapidly deployed, and ease of training. Improvements on each of these benefits will keep pressure on pricing as can be seen by the new low-cost Franka robots and the forthcoming rebranded Roberta robot. Also, at AUTOMATICA, held in Munich this June, every robot manufacturer was touting their safe collaborative robots even when, by any stretch of the imagination, they didn't really have one. Turning co-bots into a commodity may not be good for profits but it is good for businesses, particularly those wanting to take their first step into using robots. 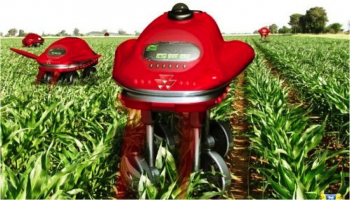 In a recent research project on robotics in the agriculture industry, a very cost-sensitive industry, many companies are offering services utilizing robots - instead of selling the robots and having the farmer operate them. Thinning, weeding, spraying, aerial imaging and analytics are examples of the services being offered. This concept of offering services instead of the products used in providing the services is and has been a way to introduce untested products into the marketplace but many enterprising startups are finding economies of scale benefit the service provider. Using drones to capture sensor and camera data and then developing software to analyze that data and translate it into actionable plans has crossed industry boundaries and is being offered not only to ag companies but to oil and gas companies, and NGOs and governments wishing to monitor hard-to-get-to areas. Security companies are beginning to offer RaaS to supplement, augment and replace interior security, etc. There is also a blurring of the line between real robots that perform tasks in physical space and software bots that perform a virtual robot-like service. As a consequence, many companies and service providers are going beyond offering SDKs (software development kits for the making of apps) to opening up their APIs (application protocol interface) so that these new bots can increase their scope and effectiveness and make it easier for their users. Apple just announced that they are opening up their APIs and Amazon has been encouraging developers to take advantage of their Echo and Alexa conversational voice recognition systems. This is helping many new startups offer RaaS using customized Alexa-enabled Echo-like devices. An example is the Belgium startup Zora Robotics which is using Amazon's Echo/Alexa system - and software of their own - in various robots to provide services into the health and eldercare marketplace. Better and lower cost vision systems, particularly low-cost 3D vision, navigation and mobility are enabling a variety of existing and startup companies to offer enhanced material handling methods for factories, warehouses and distribution centers. During the financial crisis, capital expenditures for logistics were put off because existing systems seemed to be able to handle the load. But all that changed as we came back from the crisis and consumers wanted their products faster and warehouses couldn't keep up without massive investments in new tech, new methods and, in many cases, new vendors. 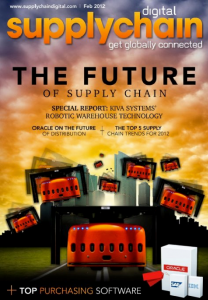 Further, these new technologies had to accommodate existing facilities and systems; few companies are building new warehouses; they are instead, changing their methods and systems. Upstarts like Amazon/Kiva, and startups like MiR, Clearpath, Aethon, and Fetch are joining established companies like Swisslog, Grenzebach, FMC and many others as they attempt to bring new tech to help speed up the picking process and the movement of picked items to the packing/shipping stations. The Robot Report reported that in 2015 investment activity, 55 startups received funding totaling $1.32 bn; that 32 acquisitions occured totaling $2.27 bn (for those reporting amounts); and that there was one IPO. 2016, through mid-June, shows 56 startups received $427.5 million; and that 20 acquisitions have happened thus far totaling $4.53 bn (from the 11 reporting amounts involved). If the $3.5 bn Uber funding from the Saudi sovereign wealth fund isn't objected to, and the bid for 49% of Kuka for $2.5 billion is accepted, the figures are much higher. Of particular interest are the investments in Western robotic technology by Chinese investors: the bid by Midea to buy 49% of Kuka, KraussMaffei by ChemChina; Paslin by Wanfeng and Gimatic by Agic Capital. 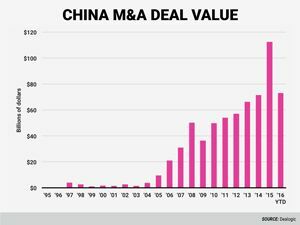 China is definitely on an acquisitions spree. China is also stimulating in-country growth. For example, Tsinghua Holdings, a state-owned fund founded in 2003 by Tsinghua University, kicked off two projects announced at the World Economic Forum in Tianjin. One focuses on helping startups and the other on commercializing scientific findings. The fund will set up 1,000 business incubators in China by 2021 and another 50 in nations including the U.S., the U.K. and Germany. The size of a parent fund will exceed $3 billion. Additional information regarding funding, investments and China can be found here.